The little fox likes to visit them all the time. The rescued bears living at a sanctuary in Bulgaria may have deeply painful pasts, but that doesn’t prevent them from sharing the fruits of their sweet new lives — literally. 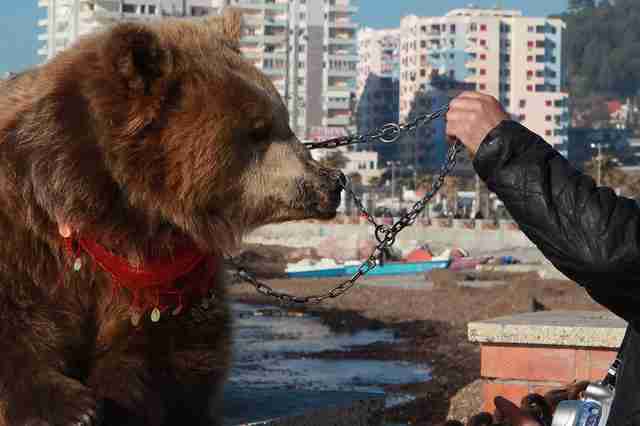 The bears at Four Paws' Dancing Bear Park Belitsa were rescued from "dancing." They were torn from their moms when they were just cubs and "trained" by being forced to stand on burning hot metal until they lifted up their paws, making it look like they were dancing. They had holes pierced through their noses and chains threaded through the holes so that they could be controlled when they performed. They forgot so many of their natural instincts. They were fed garbage and became severely malnourished. They even forgot how to hibernate in winter. 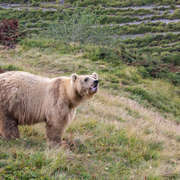 In the 1990s, the sad plight of these bears started to gain international attention, and over the course of many years, Four Paws International, with the help of the Brigitte Bardot Foundation, managed to save all the remaining dancing bears throughout Bulgaria and bring them to sanctuary. The practice is now illegal. Since then, the former dancing bears have been remembering how to enjoy life. In 2017, every single bear at the sanctuary successfully hibernated, to the great joy of their rescuers. 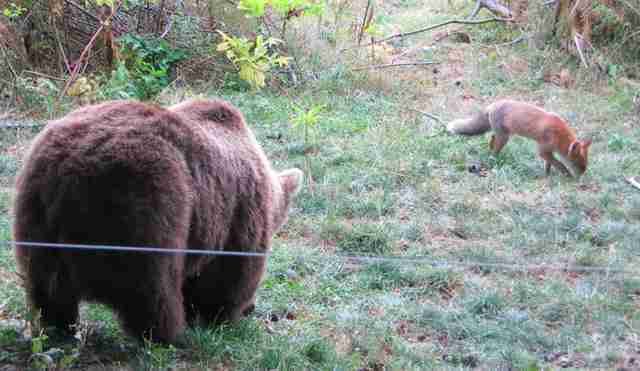 Where, before, the bears were fed garbage, now they enjoy fresh fruit and nutritious food. 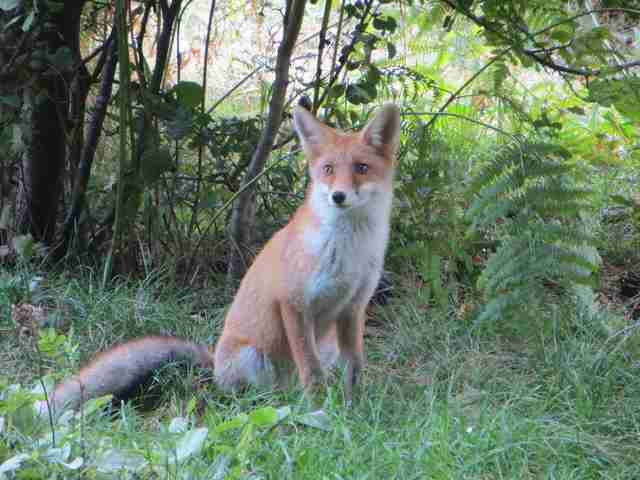 And they've even started to share with a wild fox, who has become a regular visitor. The curious little wild fox first showed up last year, in the colder months. He brought a few family members with him, but he was the one who got close to the bears who were busy enjoying a pile of apples that had been given to them. The fox seemed to like being around the bears — and the bears didn't seem to mind one bit when he helped himself to one of the apples. "Last year it was a whole family," Velichka Trichkova, organizer of sales and advertising for the sanctuary, told The Dodo. 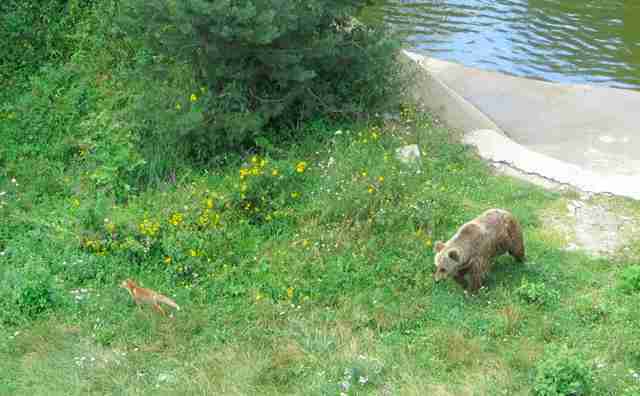 Footage shows the little fox getting right up close to the bears, taking the apple and starting to run away, while another member of his fox family waits in the distance. 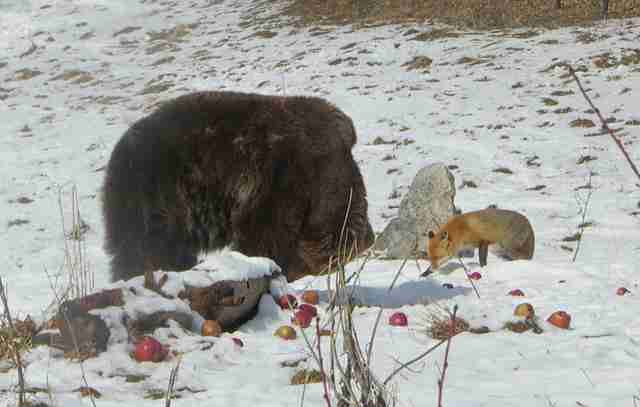 But then the little fox decides to stop near the bear, and enjoy his apple in their company. 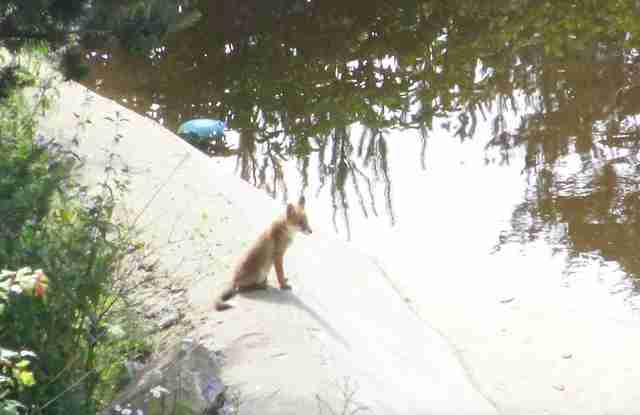 This year, the little fox apparently decided to return. "This summer it is the same one," Trichkova said, "but only one." Once again the fox was filmed helping himself to an apple from a bear's stash. But the fox's interest doesn’t seem to be entirely culinary. 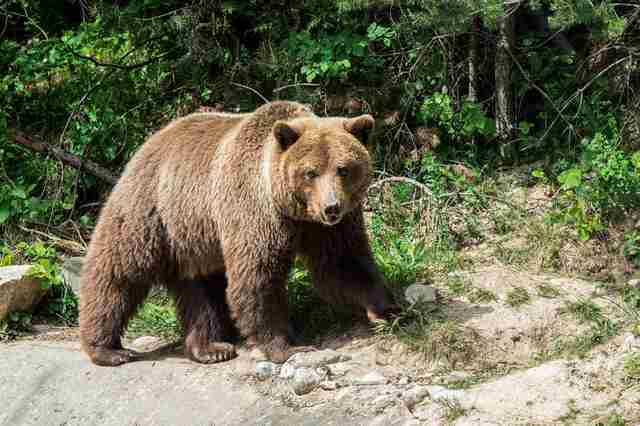 He was recently spotted lounging around by the bears’ pool, as if waiting to hang out. The apples are just a perk. You can make sure the rescued bears at the Dancing Bears Park Belitsa get all the apples they want by making a donation.